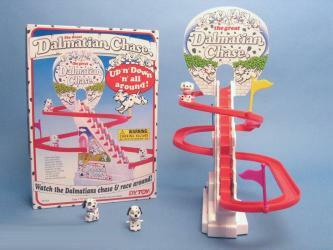 Watch the Dalmatians chase and race up and down and all around this exciting slide toy with cute Dalmatian puppies. It’s great for teaching cause and effect, develop visual tracking, object identification and independent play. Fun for the whole family. Include 3 little dogs (Dalmatians). 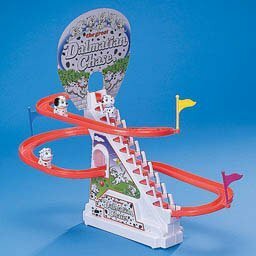 Requires 1 D Battery (Not included).